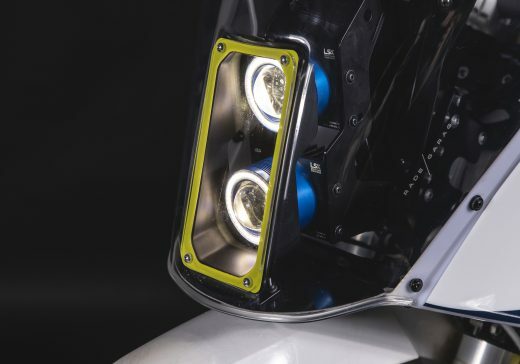 The road legal LED headlights (ECE certified) are assembled from high end components such as true Cree chip with 70W output. And now was added the shader that eliminates the light reflection from the windshield. 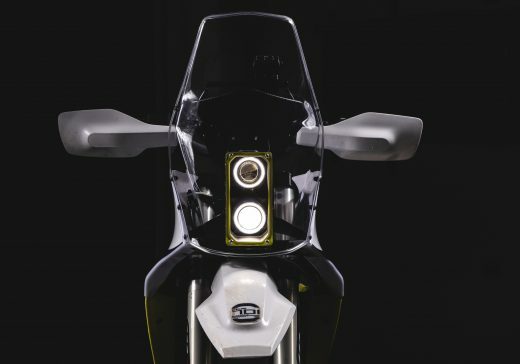 The new accessories that are now included with the kit make riding easier and more pleasant. The GPS mounting bracket fits on the crossbar and can be mounted both horizontally and vertically. 12V USB outlet for simple recharge of your phone or GPS. Also brake hose guide is included in the kit. 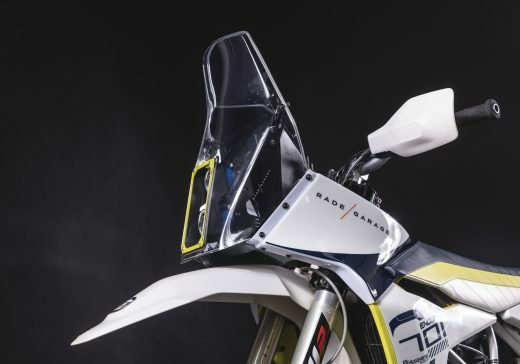 The CNC laser cut aluminium tower and the CNC milled clamps ensure great stability that was also proven on several rallyes and over continents adventure trips. 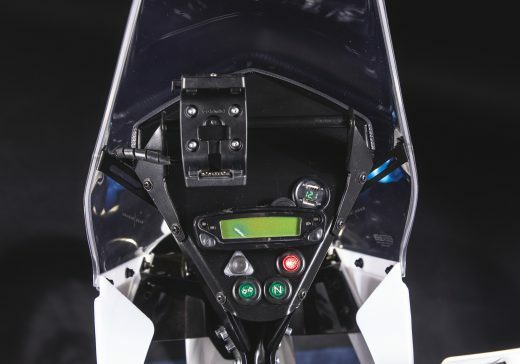 Now also the windscreen as well as the side fairings and shader are finished by CNC machining what improves the overall alignment and easier set up. 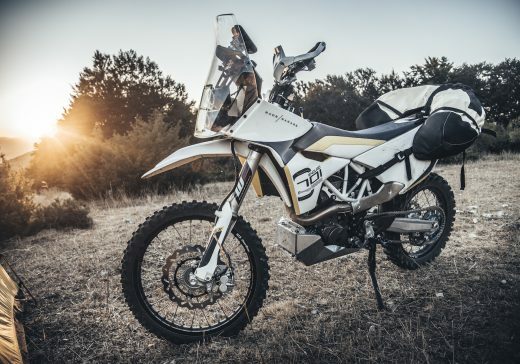 How does the Husqvarna 701 F3 kit work? 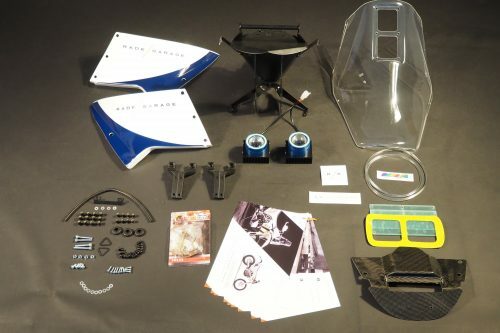 What is included in the Husqvarna 701 F3 kit?